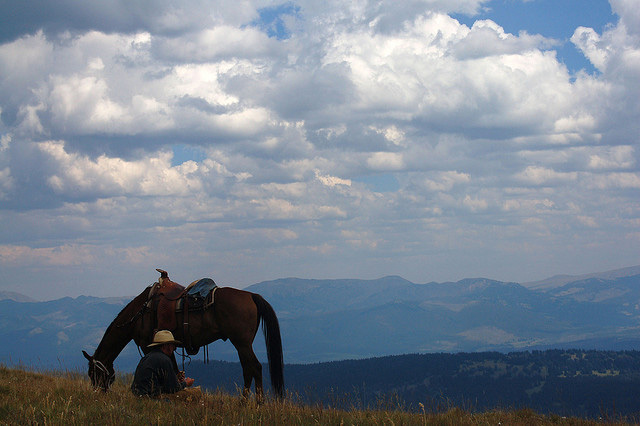 Cowboy and horse under Montana's big sky; photo by matthewcammann on Flickr (noncommercial use permitted with attribution / no derivative works). The organization's mission: “To honor our cowboy way of life, American Indian cultures and collective Montana Western heritage." 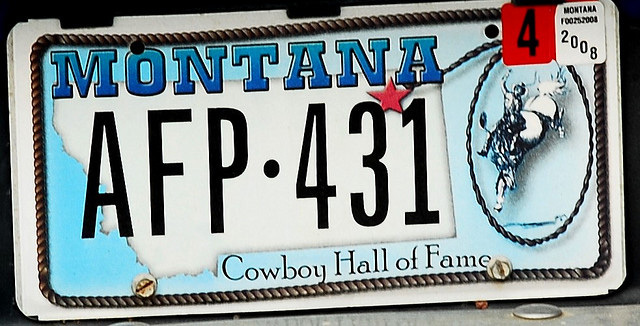 Montana license plate featuring Cowboy Hall of Fame; photo by Spappy.joneS on Flickr (noncommercial use permitted with attribution / share alike).